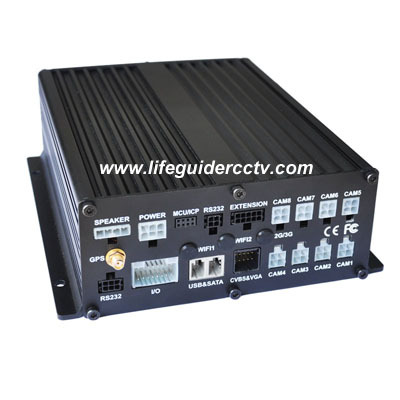 MD608 is special design for long time recording, it supports 8 channels video recording with large hard disk for high definition images in long-term storage. With its unique patent vibration resistance solution, it ensures stable working in complex conditions with G-sensor, GPS, WIFI and 3G. Centralized management for vehicles by CMS software, it goes through 3G to perform alarm linkage, real-time audio and video surveillance. With industrial design standard, complete functions, stable performance, it’s applied to bus, taxi, trucks such public transportation surveillance. 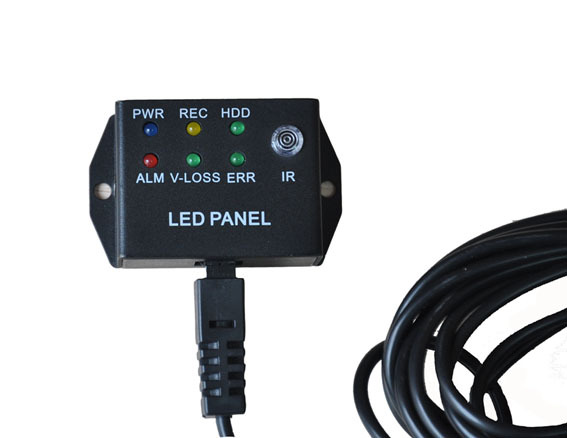 LED Panel: 1. Show DVR working status; 2. 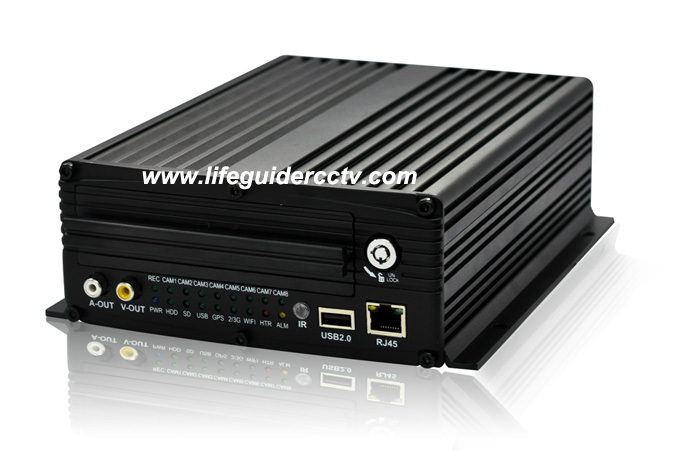 Can receive IR signal from Remote Control.